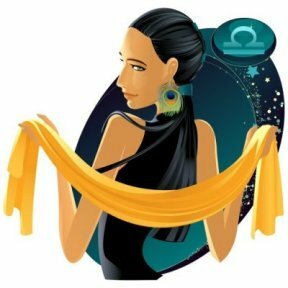 Libra represents the period of the autumnal equinox, when day and night are equal. After this equinox, the nights grow longer until we reach the winter solstice (symbolically 0 degrees Capricorn), which is the longest night of the year. Thus Libra stands for equality, but as we can see from the glyph ~ the Sun is sinking under the horizon, showing that night will dominate. There are three “official” dual signs: Gemini, Sagittarius, and Pisces. 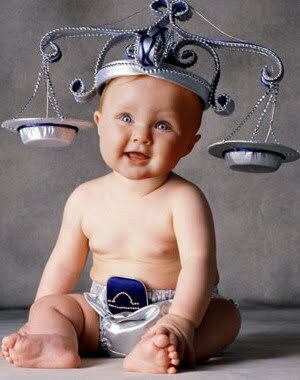 Libra is also endowed with a certain dualism and its symbol illustrates its two polarizing extremes’. 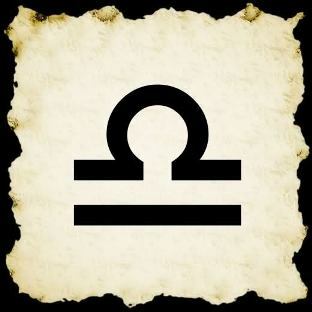 The upper line of the glyph “” shows the higher nature of Libra, which is primarily governed by the higher powers of mind: the completely objective state. This is the aspect of the Libran character which is impartial and not attached to matter. It is solely involved with the harmony of ideas. It must be remembered that before something appears in a materialized, physical form, it is first conceived in the ethers of the (Universal) Mind. We can also say that this upper part of the symbol represents the innocence of living in the Garden of Eden. In that paradise selfishness was unknown for there was no “I and Thou,” no “mine and thine,” no separation between the viewer and the object. All dualism was contained within the sphere of divine unity and perfect equilibrium. Adam and Eve were the quintessence of the harmony which can exist between the energies of male and female. The lower part of the Libran glyph – stands for matter. Here Mankind (symbolized by Eve) decides to eat of the fruit of the Tree of Knowledge. Biting into the apple signifies giving in to the temptation of the assertion of the personal ego and the entrance into the games of material existence. Thus one separates from the paradise of Divinity. Innocence is lost and purity of vision is beclouded by personal considerations. Man will now apply his interpretation of truth, his rendition of justice as seen apart from Absolute Truth. The bite of the apple and the lower half of the Libran glyph signify Man’s fall from spiritual Grace into the world of subjective opinions. 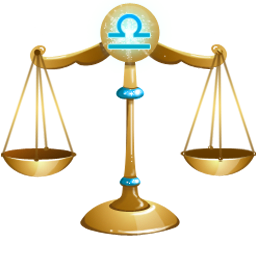 Libra reveals this struggle and the dualism of each human being: on the one scale he is striving toward the bliss of a conscious (re) union with Divinity, and on the other, he is working for mastery and power over the material sphere of personal desire. 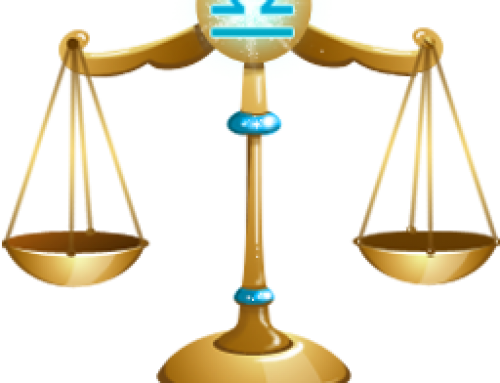 The essence of Libra will teach Man how to balance the two urges within himself with the condition of his earthly situation. It [the glyph] represents the bird with its fully stretched wings in a horizontal plane but not touching the horizontal plane of the earth. The wings stand completely parallel to the earth plane but the bird is always above creation. It is said that there are two birds on the vertical trunk of the tree of life. They are identical and co-existing. One of them enjoys eating the fruit of the tree. The other enjoys [himself] by seeing the first bird rejoicing in eating. 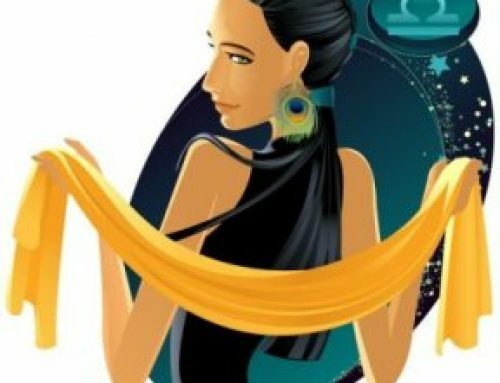 It is pleasant to notice that persons born under the influence of Libra are charitable and rejoice in the sight of others enjoying. The bird above exists in immortality, while the bird below eats immortality and enjoys the taste as the fragment of its experience. As we know, each sign corresponds.to a certain area of the body. 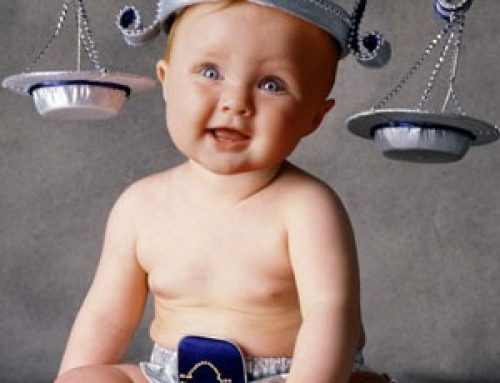 Libra has rulers hip over the diaphragm, that portion of the human organism which divides the lower and upper halves of the body. In the glyph ~, we see that the lower line represents the waist proper while the upper line is the diaphragm and the navel. As it is the sign of marriage and the dominion of Venus, Libra also has some influence upon the sexual organs, specifically in the connection of that area with the kidneys, bladder, and urinary tract.